The Airbnb case reminds this author of a case that she litigated several years ago entitled Hoffman v. 345 East 73rd Street Owners Corp. (New York Law Journal 10/2/1992 p. 26 col. 4). The Hoffman case involved a shareholder in a cooperative building who was renting out his apartment as a “bed and breakfast” accommodation, without his presence, in order to cover his expenses in maintaining the apartment. 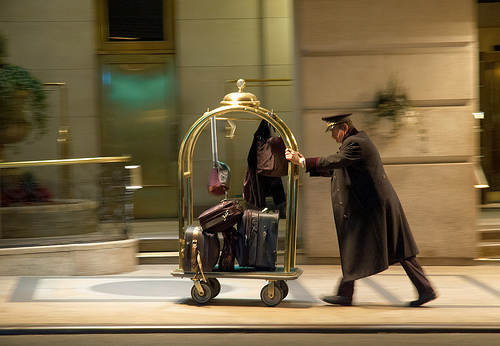 The cooperative board discovered his illegal arrangement when one of his guests, with suitcase in hand, asked the doorman “where’s the bellhop?” Mr. Hoffman sued the cooperative for interfering with his right to use his apartment as he wished, but did not prevail in the lawsuit. The focus of the recent press concerning this issue is whether apartment owners or renters are illegally maintaining a hotel business and, in doing so, failing to pay the hotel occupancy tax to the authorities that collect same. While these are important topics, they are outside of the scope of this blog post. We wish to discuss occupancy rules and restrictions contained in documents to which apartment owners and renters are subject. The proprietary lease at issue in the Hoffman case is very similar to most proprietary leases in New York City. It allows occupancy as a personal residence by the shareholder and (emphasis added) persons of particular relationship to the shareholder, as well as guests for no more than one month if (emphasis added) the shareholder is in residence at the same time. Standard proprietary lease language does not contemplate commercial use in this manner, being paid by someone to use the apartment while the owner is not also present. Likewise, it is typical for the By-Laws of a Condominium to provide that use of the property is to be restricted to private residences only and that no portion thereof may be rented. Although condominiums have the reputation of being less restrictive than cooperatives, rules governing the use of the apartments may still prevent renting the units for short-term occupancy. Our readers may think that the only restrictions on occupancy are contained in cooperative proprietary leases and in condominium by-laws. However, single family home occupancy could be deemed to be restricted by clauses contained in standard mortgage documents. For instance, when one applies for a mortgage, the standard loan application contains an entry for whether the home is to be owner-occupied as a primary residence. If the property is a second home, loan underwriters consider the loan to be higher risk, and elevate the interest rate to be charged as a result. In fact, a mortgage with a major national lender signed by one of this author’s clients for a home purchase this week contains a clause that the purchaser will occupy the property as her primary residence within sixty days of closing and will continue to occupy the property as a principal residence for at least one year. Said clause does not contemplate that the homeowner will rent the house or allow guests to occupy without the homeowner’s joint presence. If the new homeowner makes all payments on time, the lender is unlikely to inspect the property to determine who is living there. However, this example is meant to illustrate that even a single family homeowner may have restrictions on determining who may occupy her home. Should you have an inquiry as to the legality of a particular occupancy, please contact our firm .